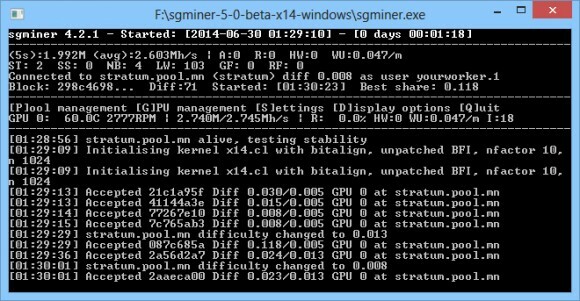 The X15 algorithm is just starting up and a GPU miner for it was just made available for both AMD and Nvidia GPUs and now comes another new algorithm – X14, and a new X14 OpenCL miner is now available (source). There is currently just a single coin that uses the new X14 algorithm and the coin is called X14Coin as you might’ve guessed already, but most likely soon there will be more new coin launches using this algorithm. We have compiled a windows binary of the new miner and you can download and try it if you are interested in checking out the X14 algorithm. Our tests have shown that an AMD Radeon R9 280X GPU can produce about 2750 KHS in terms of hashrate when mining X14Coin using this miner (make sure you are using the latest video drivers).